When I think of fried rice, I think of, well, takeout containers, but I also think of vegetables that have a lot of crunch. This is one of the primary principles behind the stir-fry method: vegetables get a shock of very high heat, are tossed—literally tossed in a wok by a flick of the wrist—and that’s about it. To accomplish this, each ingredient is cooked separately. This may seem tedious on paper, but trust me, it’s so not a big deal. The only real elbow grease required in a dish like this is to chop all the vegetables, and if you eat vegetables with any frequency at all, those are some familiar muscles you’ll be flexing. That said, this isn’t traditional fried rice. It diverges because a lot of its bulk comes from leftover roasted vegetables, which you probably know are not known for their snappy texture or quick-cooking method. But for a few weeks now I’ve been in creative leftovers mode. With my CSA delivering a weekly lot of beets, turnips, and parsnips, I’ve been getting in the habit of roasting a tray, and then using them up in a few different meals throughout the week. 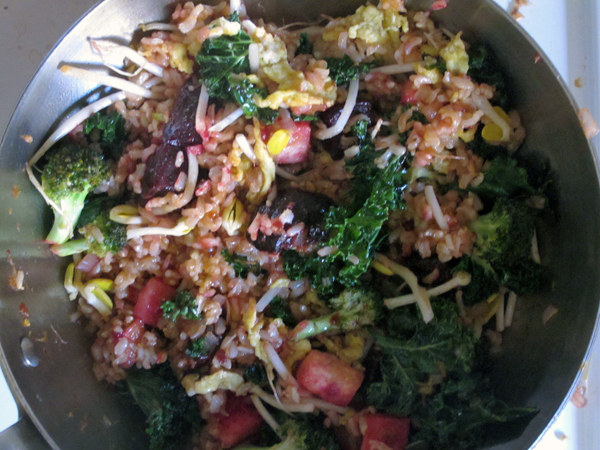 I’ve repeated this fried rice a few times now, using those leftover roasted veggies, as well as leftover cooked rice. It’s pretty quick to throw together, but what I like best is that it demands you to improvise. My version has roasted beets, turnips, parsnips, and broccoli, as well as a few handfuls of kale in it—that’s what happened to be in my fridge. Your version will likely be a little different. Just follow the method below for the seasoning sauce, assemble it in a similar manner, and you’re set. 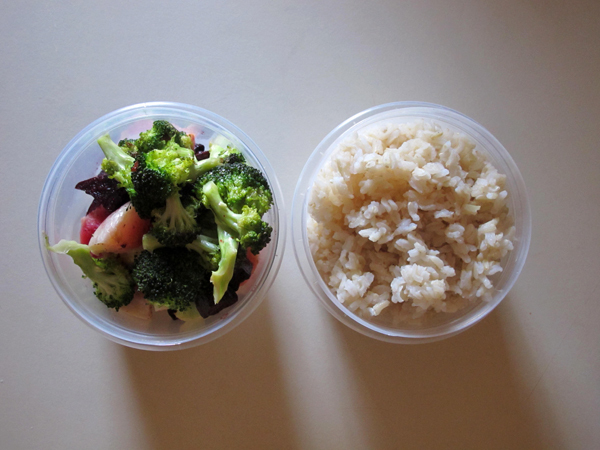 No takeout containers in sight, and your leftovers will be so transformed by the facelift that you’ll greet them anew. The sauce here may look familiar if you’ve made the Pad Thai in Vegetarian Entrees that Won’t Leave You Hungry. My brother gave me the great idea to repurpose that sauce for fried rice. 1. Whisk together the lime juice, brown sugar, soy sauce, chili paste, and vinegar in a small bowl or liquid measuring cup. 2. 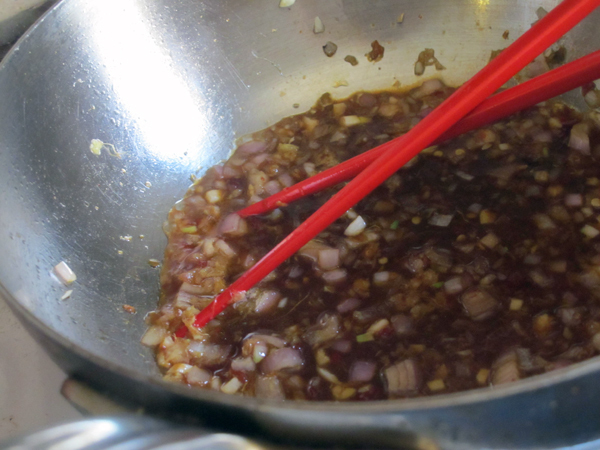 If using egg, heat about a tablespoon of the oil in a deep skillet (or wok) over medium-high heat. Pour it in and quickly scramble (you can use chopsticks to do this if you’d like). 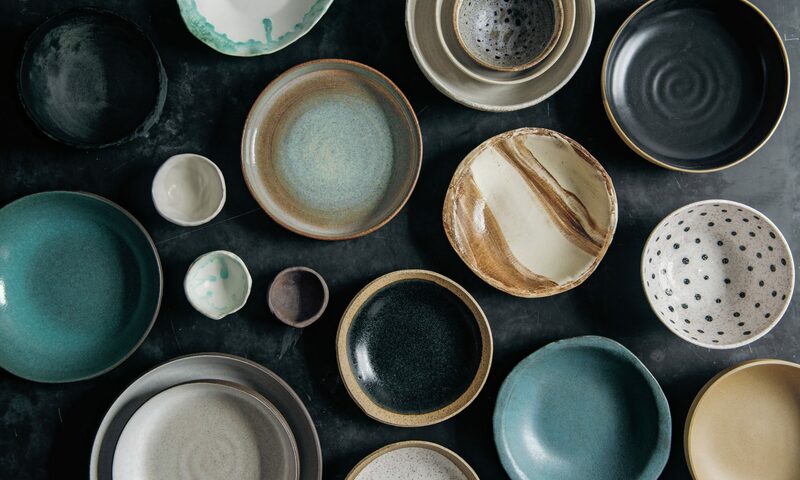 Transfer to a plate or a bowl. 3. Wipe out the pan if necessary, raise the heat a touch, and add a splash of oil. Add the cooked vegetables and toss, cooking just until heated through, then add them to the plate with the eggs. Add the greens to the pan and cook until wilted as you like. Transfer to the plate. 4. If the pan seems dry, add another splash of oil. Add the shallots, garlic, and ginger and cook just until tender and fragrant, a minute or two. Swirl in the soy sauce mixture, so that it coats as much surface area of the pan as possible (this helps it caramelize slightly). Add the rice, toss quickly to heat up, and then stir in the vegetables. Lastly stir in the eggs, bean sprouts, and herbs. Serve hot. * How to cook rice: Rice is so temperamental it can drive me mad. I go back and forth on the best way to steam it. One moment I’ll think I’ve got it figured out, but then I step up to the stove (confidence having made me cocky) and it comes out undercooked, just to spite me. When I stick with 1 cup of uncooked (rinsed) (brown) rice to 2 cups plus 2 tablespoons water, steam it for 45 minutes, let it stand for 5, it’s perfect. But if I up that to 2 cups rice and follow the same formula, something will go haywire. So here’s what I do when I’m not feeling confident: I boil it. Bring a pot of water to boil, add salt, add rice, and cook: 15 minutes for white rice, 35 minutes for brown rice. Taste it at the end of that time. If it’s underdone, keep cooking it. If it’s perfect, just pour the contents into fine-mesh strainer to drain thoroughly. ** How to roast vegetables: Preheat your oven to 400° F. Peel the vegetables for which you don’t want to eat the skin. Chop into uniformly sized pieces, toss with a bit of olive oil, and sprinkle with salt. If roasting multiple types of vegetables on a single baking sheet, try to keep them separated so that it will be easy enough to remove the one that cooks more quickly than the others. Roast, checking every 10 minutes or so, until tender, removing the ones that cook first. Looks great. I always keep roasted vegetables on hand, too. And I as much as I love to cook, I love me some authentic Thai food, so I often have leftover rice sitting in the fridge. This would be a great way to combine the two. Thanks. I’m thrilled to hear! Thanks!